A TO B. AND EVERYTHING IN-BETWEEN. 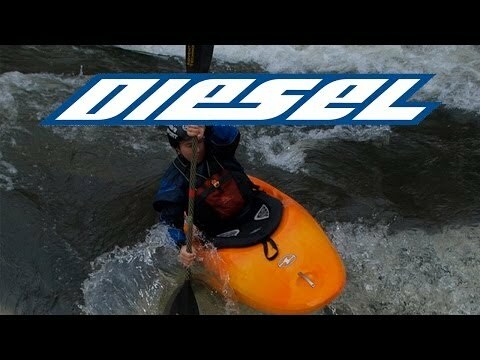 HALF BIG WATER, HALF TECHNICAL, ALL AWESOME. DIESEL 70 CORE WhiteOut in Black Ice. DIESEL 70 CORE WhiteOut in Black Ice. DIESEL 70 CORE WhiteOut in Black Ice. DIESEL 70 CORE WhiteOut in Cherry Bomb. DIESEL 70 CORE WhiteOut in Cherry Bomb. DIESEL 70 CORE WhiteOut in Cherry Bomb. DIESEL 70 CORE WhiteOut in Citrus Twist. DIESEL 70 CORE WhiteOut in Citrus Twist. DIESEL 70 CORE WhiteOut in Citrus Twist. DIESEL 70 CORE WhiteOut in Sublime. DIESEL 70 CORE WhiteOut in Sublime. DIESEL 70 CORE WhiteOut in Sublime. Point A. Point B. And all the points between. Are you skirting over a jumble of manky rocks to line up for a 15-foot boof? Or maybe you're in the midst of a rapid that reminds you of the Zambezi at flood. Either way, you need a kayak that deals with any situation Mother Earth throws at you. River running is half white-knuckle big water, half technical and all fun. And it's our job to keep it that way. So we've given you a boat that is made for the paddler who wants everything... And then some.